Home / News / Where Produces The Most Gold And Why? Despite its seeming ubiquity, gold is one of the rarest materials on Earth, so it might come as something of a surprise to discover that more than 3,000 tonnes of gold is mined each year. Proof, if it was needed, that our fascination and hunger for the precious metal knows no bounds. Gold itself makes up as little as 0.003 parts per million of the Earth’s crust and can only be found in certain parts of the world at levels that make mining it worthwhile. In the 19th century, these were most famously documented in the United States, where the gold rush led to the expansion of the country, huge transport projects and massive leaps forward in communication technologies. Places like San Francisco are no longer the centre of gold mining, and the gold rush lasted just seven years, but that is not to say that there are not places where large deposits of gold still exist. Not only this, but the technology used in gold mining has improved greatly over the years, meaning more of the world’s gold is available to those with the means to plunder it. China has led the world in gold production for some time and it is still a global leader by some margin, despite measures to cut the pollution that has blighted the country as industrialisation has increased exponentially. As mining technology improves, the likelihood is that China will remain top of the tree for some years to come. 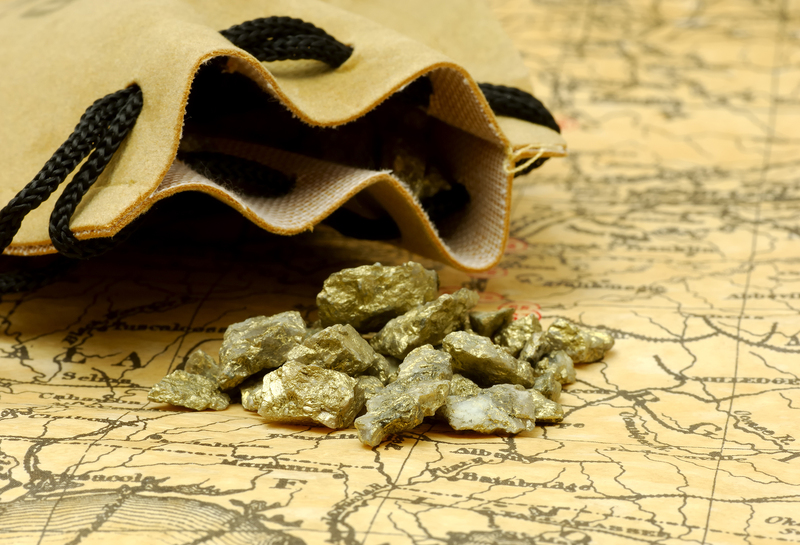 Australia has a history of gold mining that matches anywhere else in the planet. In fact, the Australian gold rush is as much a part of Australian folklore as the American version. The future for gold production in the country is uncertain, however, with calls for a massive increase in gold exploration gaining traction in a country where gold exports make up almost 10% of GDP. Europe is one of the most barren places on Earth for gold production, as such, the geographically huge Russia makes up for over 80% of all gold mined on the continent. What’s more, Russia is increasing its gold production, unlike most on this list. Exports of gold remain low, however, with the government snapping up the majority of the precious metal. Just behind its old rival, the United States still produces a huge amount of the world’s gold, long after the region’s cultural gold heyday. The United States has, in fact, increased its gold production for the past four years, most of which comes from the state of Nevada, where huge deposits are fuelling the boom. Canada has a history of gold production that dates back to the time of the “49ers” in San Francisco. The small increase in recent years is almost entirely down to climate change, and the retreat of glaciers in remote parts of the country. Sadly, this will only likely increase over the next decade or two and gold production is likely to trend upwards for the region as a result. Gold is a huge part of the Peruvian economy, so it might seem something of a worry to note that production has fallen significantly in recent years. The good news, however, is that this is almost entirely down to the cut down on illegal mining and production should stablise. One of the largest falls in gold production occurred in Indonesia. While this is worrying for several reasons, the explanation lies not in the finite nature of the resource, but in taxation policies that affected the profitability of the mining companies themselves. Once a global leader, South Africa’s gold production has slowed immensely since its heyday in the 20th century. The country that practically invented gold bullion as we know it today does still have large deposits to mine, and remains a global leader in gold mining technology that helped create the world’s deepest gold mine, which reaches almost three miles underground. Mexico is one of the fastest growing gold producing countries in the world, with an almost threefold increase over the last decade. Many reasons have led to this sudden surge, such as untapped areas and an improvement in technology, but the country’s lack of regulation also remains a potent factor in the boom. Few places on Earth rely as much on gold exports as Ghana, with the precious metal making up a fifth of the country’s export market. Thankfully, gold production is trending upwards and, alongside various industrial materials, the country is well placed to reap the rewards of its mining operations for some time to come.